The mechanical keyboard is going through a true revival phase with many manufacturers paying homage to the robust IBM Model M keyboard, arguably one of the best keyboards ever made. You’ll either hate or love the typewriter-style click you hear from mechanical keyboard, mostly depending on whether you or your coworker owns one. It was only a matter of time until the bulky gamer keyboards with a mechanical spring would make place for a more elegant Apple-like design that can be connected to any device over Bluetooth. 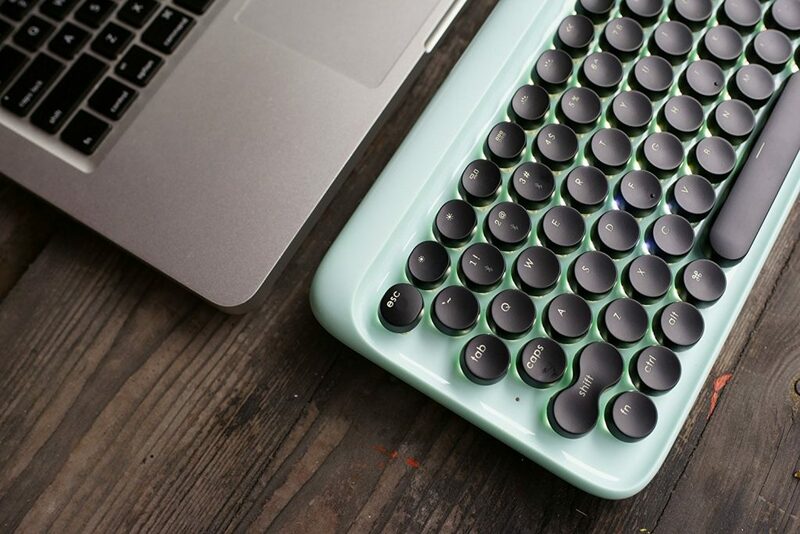 The lofree keyboard takes the clicky clacky to the mainstream with their Indiegogo campaign. In short this is a wireless Mac-style keyboard with elegant round keys that produce a typewriter-like sound with every keystroke. You can pair this keyboard to three devices at the same time or choose to wire it. The key shape is unorthodox and might take some time getting used to it. Otherwise this thing is compact and looks pretty.